In recent news, Vodafone Australia has announced that the Telco has successfully completed a trial of the Narrowband Internet of Things. But what does this mean for consumers and will it result in an increased beneficial service? Read on in the following article to learn more. Vodafone Australia recently announced that it was working in partnership with tech company Huawei, to implement wireless network access trials. Vodafone has recently completed successful trials in Melbourne CBD and suburban areas of Vodafone’s Narrowband Internet of Things technology. Narrowband Internet of Things will allow emerging next generation devices, such as water and electric meters to communicate with minimal data transmissions. In recent weeks Vodafone Australia has announced to the public that they have completed a successful trial, of the pre-standard Narrowband Internet of Things (NB-IoT). This new technology allows the national Telco to support the Internet of Things (IoT), by making their network more efficient. My increasing the Vodafone networks efficiency, the national carrier can enable the connection of devices to the internet. The NB-IoT connection is using the Vodafone Australia 4G technology and has been developed and implemented in partnership with Huawei. Vodafone Australia last month working in partnership with Huawei, carried out wireless network access trials at several live sites in suburban and central Melbourne. The national Telco reported that further testing and trials would be carried out across Australia in the coming months. Vodafone Australia has reported that based on testing in the Melbourne CBD area, NB-IoT has demonstrated the capabilities of deep signal connectivity. During the testing trials, NB-IoT signals were able to penetrate two to three double-brick walls, resulting in strong connectivity in underground basements and car parks. Not only that, but during testing in suburban Melbourne areas, distances of up to 30km were achieved with extended coverage. The in-field trialling of the new technology is needed to enable millions of new devices to connect to what is known as the Internet of Things (IoT). 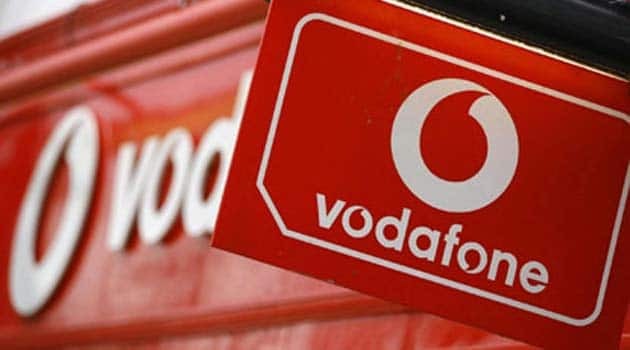 With the trial testing phase completed, Vodafone Australia is said to be analysing the results and determining the next stage of their testing project. By working in partnership with Huawei, Vodafone network user devices will be able to connect with devices and applications. Narrowband IoT has been designed to be a low-cost solution, extending battery life and allowing remote area access. Not only is Vodafone Australia working in partnership with Huawei, they are also working with Optus on the trial of IoT with South East Water. It has been reported that the trials with South East Water involve connectivity testing through its water and sewerage systems. Speaking to media about the latest developments, CTO Benoit Hanssen commented that narrowband devices can have extended battery life of up to 10 years. With the cost of the chipsets forecast to decrease over the coming years, to a purchase price of under $5 a unit. Devices will be able to remain connected to the Vodafone Australia network, with many different applications that only require occasional data transmissions. As reported by the national Telco, the Melbourne trial was regarded as a success, with signal testing reaching up to 30 kilometres. Vodafone has a further two trials planned, one in rural Queensland and one more which has yet to be confirmed. Currently in the initial testing phase, with full deployment planned for commencement in late 2016 with the aim of finishing before the end of 2017. Vodafone CTO, Mr Hanssen commented that in CBD area testing, deep signal penetration was able to be achieved. Traditionally areas like offices and basements which often suffer from poor signal strength and reception, will greatly benefit from the roll out of the new technology. The majority of current NB-IoT requests are coming from utility companies, but increasingly new sectors were also becoming interested. With more and more companies embedding chips into their products, especially medical device companies are able to track their devices better. By being able to track where a device is at all times and whether or not it is still functioning, are features which are becoming increasingly important. In Australia we’ve all heard a lot about the Internet of Things (IoT), especially in the past year as the Telcos begin to invest more in it. The idea that all of our devices can be connected to our lives and everything we do on a daily basis is an interesting concept. IoT is merging together a large number of devices and bringing its computing power to the internet. The linking of our devices to the internet opens up many new ways in which vast amounts of data can be transmitted around. National Telcos such as Vodafone Australia understand this, hence their latest partnerships with tech companies and investment in future technologies. Based on trends with next generation technology, the smart home and car are finally close to becoming a real thing. In the not too distant future, our devices will be connected to the IoT, resulting in useful, empowering and intuitive living.